Posted on August 25, 2015 by Algorithm, Inc.
As a Senior Application Consultant at Algorithm Jonathan Nelson spends the majority of his time working directly with Algorithm’s customers to help them improve their businesses through the better implementation and use of their software applications. Jonathan spends a lot of time getting to know and understand what makes Algorithm’s customers successful and assist them in expanding that success. 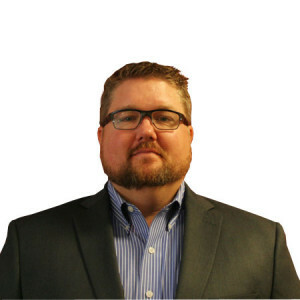 His responsibilities include direct support of Wisys, ERP, on-site assessments, upgrades, new site implementations and overall project management. Jonathan began his career while still in college at the University of Cincinnati by going to work for a Cincinnati-based reseller. He has since worked for 2 large end-users, participated in a conversion to SAP and spent some time as a Channel Marketing Manager for Bosch prior to accepting a position at Algorithm, Inc. He has been able to develop a broad base of experience working for privately held small businesses as well as large fortune 500 companies both internally and as a consultant. Jonathan graduated from the University of Cincinnati in 1999 with a degree in Business Operations Management. Jonathan has 4 children and most of his free time is spent supporting them in their various activities. He loves to read and consume as many good books as he can. He really likes to have the answers so anytime he comes across a question he doesn’t have an answer to, he goes and figures it out. Please describe your experience at Algorithm. When and why did you become involved? I joined algorithm in 2012. I worked for multiple ERP end users and as a consultant in the past and wanted to get back to my roots. I knew Mike Oswalt and Algorithm through various interactions over the years and was excited to see them looking to add consultants. I envision myself retiring from Algorithm many years from now. What would you like Algorithm to accomplish in the next year? Continued growth and on-time, on-budget delivery of all of our projects. Mike has assembled a dynamic team and we are intent on being the best in the industry. Do you have any advice for others looking into this career field? This is an extremely self-driven field. You have to be able to organize and manage your time very well and handle multiple priorities. It is not a 9-5 career, but it is very rewarding! Be prepared to solve problems and think dynamically. What is the best-kept secret of your community? The consulting field is not just about what you know but how you build relationships. You spend a significant amount of time with your customers working on projects and becoming their trusted advisors is a key to our success. It is a methodology that is taught and encouraged at Algorithm. Being an avid reader - what are your 3 favorite books of all time? Augustus! I think it sounds distinguished. I was sitting at my desk trying to figure out what name sounded interesting and dashing and I went with distinguished. I also like the uniqueness of the name. You don’t come across too many Augustus. Plus, Auggie is a cool nick name as well. What is your favorite Algorithm memory to date? There are many to choose from, but I will go with our tequila lunches. I believe we started doing it at my birthday lunch in 2013 at Tucci’s. I am not sure what the impetus was, but Mike went with it and we have made it a tradition to have a shot of tequila for every birthday and celebration ever since. Algorithm hosts live webinars each month on Acumatica, BI/CPM, manufacturing/distribution, and more! Register in advance here. ECi and Macola are trademarks or registered trademarks of ECi Software Solutions, Inc. and/or its affiliates. All other trademarks may be trademarks of their respective owners.